Second exercise is to understand a system. It can be either an open system, closed system, virtual, physical, public domain, small scale, perishable short period system or some thing that has lasted for centuries. For our exercise we chose Spotify. Spotify is a commercial music streaming service. It provides Digital Rights Management protected content from record labels. It was launched for public access on 7 October 2008. It originated from Sweden. 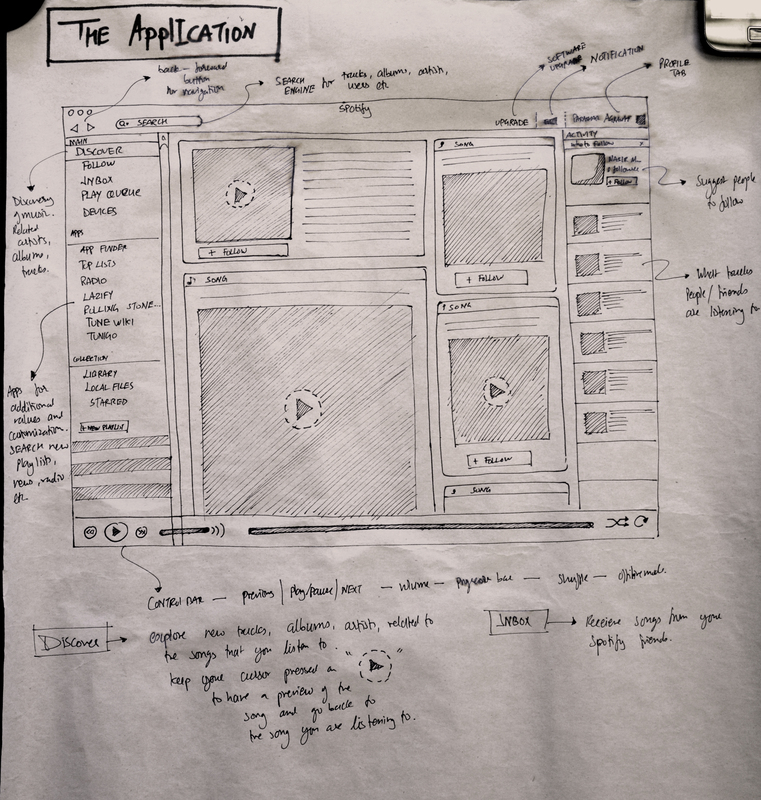 Developed by a team at Spotify AB in Stockholm. Company founded by Daniel EK and Martin Lorentzon. 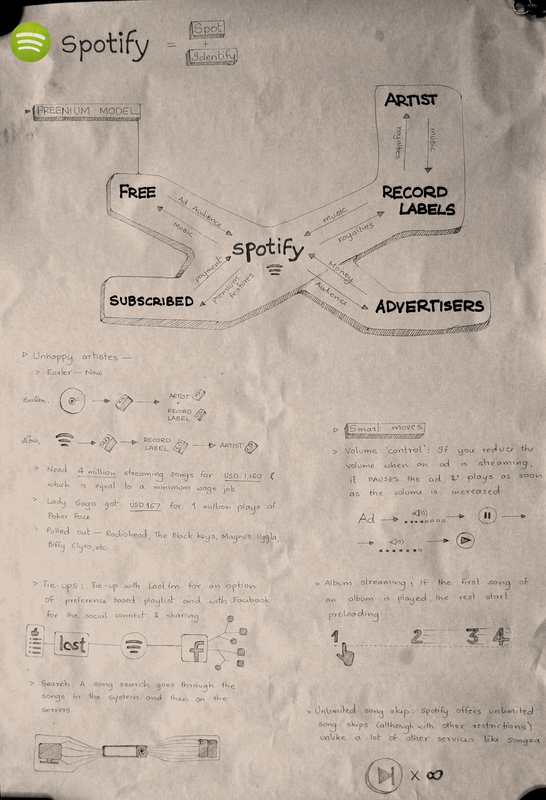 So we basically mapped information taking Spotify as a starting point. Zooming out and looking at music distribution at a macro level. Understanding has it has changed over the period of time. Also mapping anything and everything relevant to the back hand system of Spotify to provide uninturrepted streaming of online music. And not let it get labelled as music piracy. It is still in a grey area of whether it is a fair trade for the music artists or not. Thus making this a very interesting topic to map. This exercise of mapping covers as much information that could be mapped. 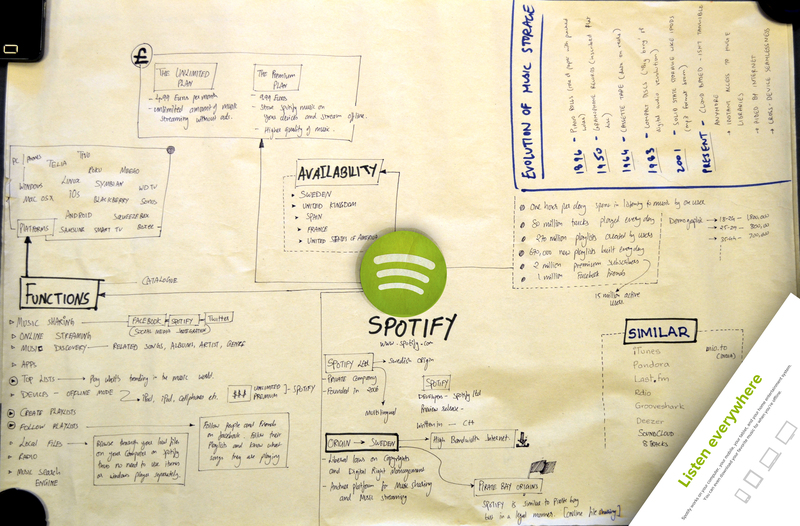 From its origin and what led to the concept of Spotify. 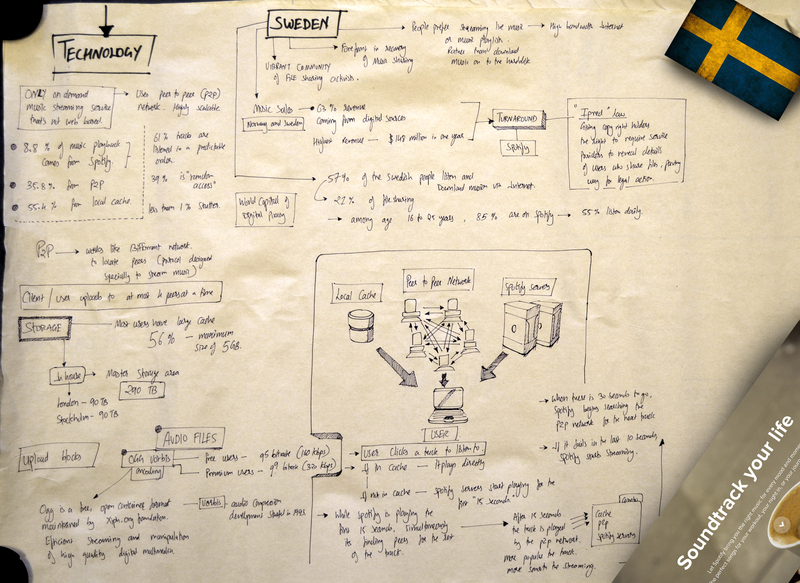 The actual system of online streaming of music through your account in the countries where Spotify is available. Also the laws that allow online streaming of music in particular countries. And why other countries do not allow. Things like news articles about Spotify. Experiences of users and also point of views of music artists and Music labels. And everything was varied. Everyone had different views. Information from info graphics comparing Spotify to other means of music distribution. Monetary issues, moral and ethical issues, political issues, cultural and social issues related to this whole trend of music streaming. Also mapping all the stakeholders that are affected by this system. The objective of this exercise was to apply information mapping of an existing system and understand the complexities of a system and the layers of information that is related to the system. And interlinking of subjects of that system.